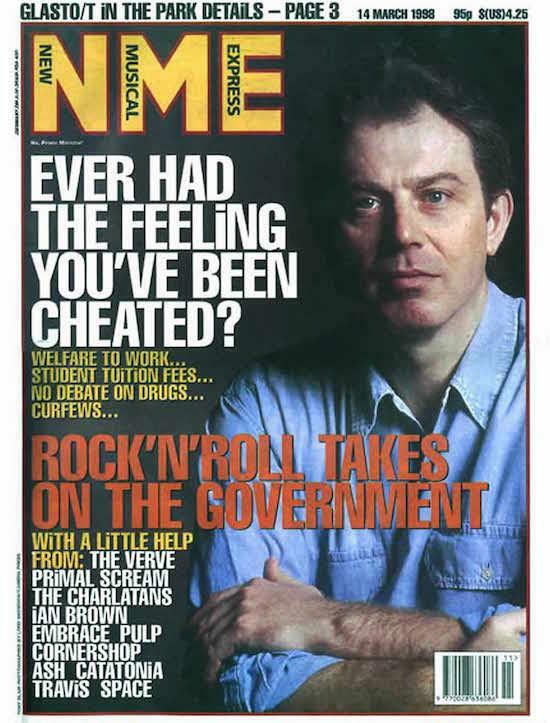 NME has announced that it is to cease publishing its print edition as of this Friday. After 66 years, the weekly magazine, which morphed into a free publication in 2015, will join the list of print publication titles which have shut down in recent years amidst decreasing circulation numbers and a struggle to stay afloat financially. The publisher of NME has confirmed that it will still continue online via NME.com, and will replace the print edition's weekly cover star interview with a new weekly digital format called The Big Read. The magazine's circulation had dropped as low as 15,000 before it went free in 2015, relying on funding from selling advertisements and thereby increasing its circulation figures. Time Inc UK, which publishes NME, is consulting with its staff about possible redundancies in the wake of the move to close the print magazine. "Our move to free print has helped propel the brand to its biggest ever audience on NME.com," said Paul Cheal, the UK group managing director of music at Time Inc. "We have also faced increasing production costs and a very tough print advertising market. It is in the digital space where effort and investment will focus to secure a strong future for this famous brand." Time Inc UK added in a statement that "NME will also be exploring other opportunities to bring its best-in-class music journalism to market in print". Keith Walker, NME's Digital Director said: "Our global digital audience has almost doubled over the past two years. By making the digital platforms our core focus we can accelerate the amazing growth we've seen and reach more people than ever before on the devices they're most naturally using."